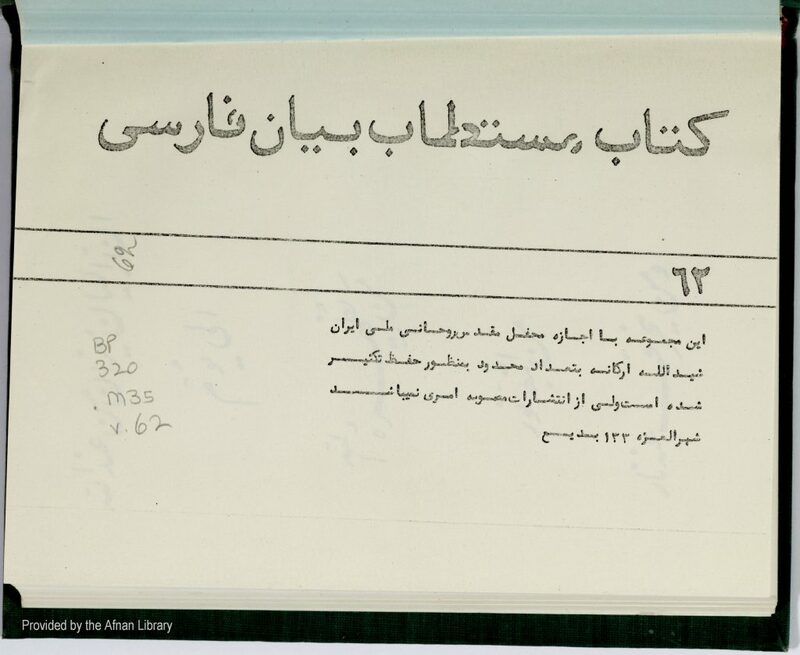 Description: A copy of the Persian Bayán, published in Tehran but not by the Bahá’í community. 330 pp. + 5 pp. of Table of Contents + 16 pages of Glossary (355 pp. of PDF). Probably the most accurate copy of the Bayán on this website is INBA vol. 96. See also INBA vol. 24.